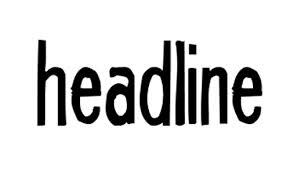 Headlines — are they clear? Posted on November 22, 2013 | Comments Off on Headlines — are they clear? Headline writing is something I do every week. Since I write for a small, weekly paper (Berthoud Surveyor), I am required to supply a headline with each article. In most cases, the editor uses the ones I provide. Another local paper has a confusing headline recently. It said, “Eating nuts tied to lower risk of death.” This lead some readers to opine that no matter how much you lower the risk of death, it is going to happen. Have you seen any misleading headlines? Comments Off on Headlines — are they clear? Upcycling is a term I came across recently. And no, it does not mean to ride a bike up a hill. The definition of upcycling–a process that can be repeated in perpetuity. It returns materials back to a usable form without degrading the latent value of the material. Upcycling is very similar to recycling. In upcycling, the new item of better or equal value. There can be no downgrading of the original product. The process of upcycling must not pollute. 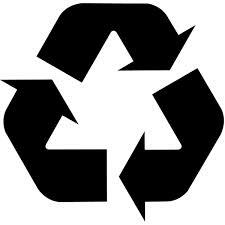 Recycling on the other hand, is a process of conservation and reduction of waste. The product being recycled usually undergoes a chemical process before it becomes something else. To sum it up, recycling means the item will eventually end up in the trash. On the other hand, upcycle never adds to the material in landfills and dumps. For another day—there is also have something called downcycling and repurposing but that is for another day. 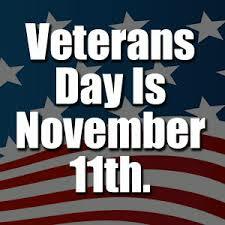 Veterans Day — I love it! The Loveland Reporter-Herald published my letter thanking veterans. I wanted to share it with my readers here. Every other Friday, a group called Veteran Business Owners Network (VBON) meets at a local restaurant in Loveland. Membership includes veterans from various eras, people associated with organizations helping veterans and those who just support veterans. Our annual golf tournament raised funds for returning vets who have needs. At the last meeting, as we ordered breakfast, our server handed out boxes containing two muffins. She said, “The cook made too much batter and did not want to throw it away.” Since we meet regularly, the management gifted us these goodies. After the salute to the flag, introductions and discussion of upcoming events, we adjured. One member–a former Navy pilot and six-year prisoner of war—mentioned that he “didn’t really need to eat these.” He offered them to any of us. Another member—career Army and Viet Nam vet—said, “I’m going from here up to the Fort Collins Vets Center, I’ll take them.” This center helps veterans with issues such as benefits, health care info, G.I. Bill information and much more. The former POW passed his box of muffins down the table. In about two seconds, someone else relinquished his box. With no spoken words, everyone in attendance donated their windfall to share with veterans we do not even know. My wife lost out that day, but some anonymous military veterans enjoyed a brighter day, I hope. Lugubrious is a word that I don’t use every day–or every few days. So, why do I bring it up today? Last night, my wife and I phoned our two granddaughters. As usual, we asked what they were eating for dinner and how school and other activities were going. When we asked the older one about her spelling words, and any word that was challenging, she said LUGUBRIOUS. On, did I mention that she is in the second grade? Impressive–Maybe there is hope for some good spellers in the future. 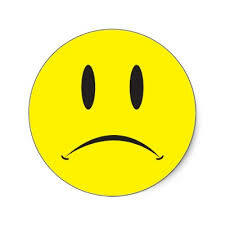 extremely mournful, dismal, gloomy, sad–sometimes in an exaggerated or ludicrous degree. Spam in this case is the electronic version, not the stuff some people eat. The electronic junk mail is usually mass mailed to thousands of people. Do you know how the word came to be? The derivation of the word has it roots in a skit from the Monty Python’s Flying Circus. 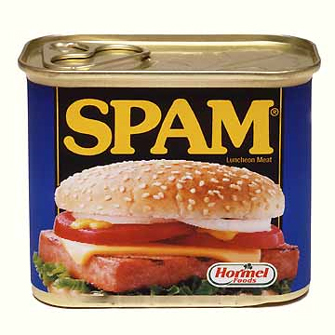 In the 1970 sketch, spam is depicted as ubiquitous and unavoidable. A hilarious (if you like that type of humor) short scene features a restaurant whose menu features Spam in about every entrée. Trivial note: The word Spam is uttered at least 132 times in the skit. Another trivial note: There is much speculation on how the term Spam came to be relating to the food product.